The acclaimed Limbo is going back in time to the 1980s in a new semi-official demake. A Limbo Commodore 64 preview was released, showcasing an impressive version of the 2010 title. Playdead’s Søren Trautner Madsen helped create the playable preview, making the Limbo Commdore 64 version semi-official. Madsen worked with members of the Commodore 64 Scene Database (CSDb) to release the playable preview. Vintage is the New Old found the new preview build, and Madsen confirmed to them its legitimacy. While short, the Limbo C64 preview is faithful to the aesthetic and gameplay of the original game. The Commodore 64 preview runs slightly past players’ first encounter with the giant spider, and can be completed in under three minutes. 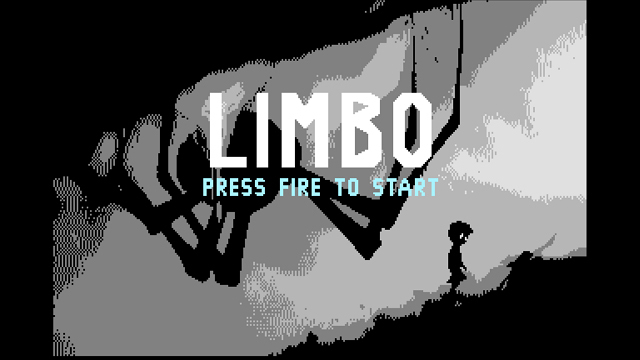 The Limbo preview was released at X2018, a Dutch demoscene event focused on the Commodore 64. Other impressive demos to come out of X2018 were The Star Wars Demo, which featured some impressive pixel art and mastery of the Commodore 64, and Unboxed a stunning animation with faux-3D graphics and vulgar humor. Limbo originally released on the Xbox 360 in 2010, and was the first game from Playdead. We gave the game 4.5 out of 5 in our review, and were positive on the presentation, puzzles, and story. Limbo has since been released on most other platforms, ranging from the PS Vita to Linux. The team released Inside in 2016, which we also rated 4.5 out of 5. Limbo Commodore 64 joins a growing list of big games getting retro versions. Halo 2600 is an Atari 2600 game released by ex-Microsoft programmer Ed Fries. Dark Void Zero was regarded by some as better than its big console brother, Dark Void. A 16-bit style Bayonetta Flash game was released by Platinum Games on its own website. Retro City Rampage was turned into an NES game called ROM City Rampage by Brian Provinciano, the game’s creator. The 8-bit Commodore 64 released in 1982 in the United States and went on to become the best selling computer model of all time. It sold between 10 million and 17 million units, beating other successful computers of its lime like the Apple II. The C64 was home to thousands of commercial software titles, along with homebrew software being popular for the system. It was discontinued in 1994, but enthusiasts keep the Commodore 64 out of the grave.